CBS NewsFormer CIA Deputy Director Mike Morell on CBS News. Former CIA deputy director Mike Morell thinks the US should be very concerned about new support the Islamic State jihadist group is receiving from radicals in North African countries. According to a Reuters report on Monday, Egypt’s most active militant group, Ansar Bayt al-Maqdis, released an audio clip last week swearing allegiance to the Islamic State (also known as ISIS or ISIL). 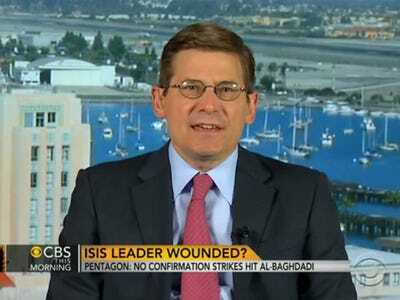 Morell told “CBS This Morning” another group in Libya did the same thing. Morell further warned the groups in Libya and Egypt may soon start attempting to take territory, as the Islamic State has already done in Iraq and Syria. Click here to watch Morell’s full interview on CBS.